Did you come out to Girls Night? Kristin held Girls Night Out on November the 15th in the office and it was such a success that she is now going to be hosting one each quarter. Are you a lady? Do you love spoiling yourself and meeting new people? Local vendors came out including LipSense, Osburne Books, and LulaRoe. If you missed out on this event there will be other opportunities so be checking our Facebookfor the next event and when it will be held! It’s time to start breaking out the books! 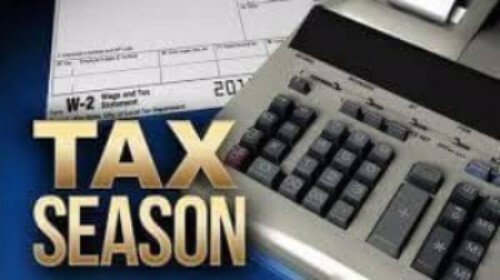 December marks the last month of 2017 and as we ring in the new year it’s also time to start thinking about those taxes! We are hard at work preparing for this tax season! Are you excited? You should be! If you are a current tax client, you should have received paperwork in the mail a few months ago regarding our new policies we have this year. We will have our new 2017 tax paperwork online in a few days so keep on checking our website for the updated forms! You can like Gundersons Bookkeeping on Facebook to stay in the loop too! Have you seen our new face? The last week of November we welcomed Brandon Popeas our new Client Service Coordinator! We are so excited and blessed to have him. He also can’t wait to meet you all, so if you see a new face in the office take some time to say hello! On December sixth and seventh Olivia and Kristin will be attending the Xero conference to learn about a new online accounting software that we hope to offer to our clients soon. Will you be attending the Waller County Christmas Parade? It’s this Saturday, December 2nd, and Gundersons Bookkeeping has the honor of being in it! If you see us give a wave!